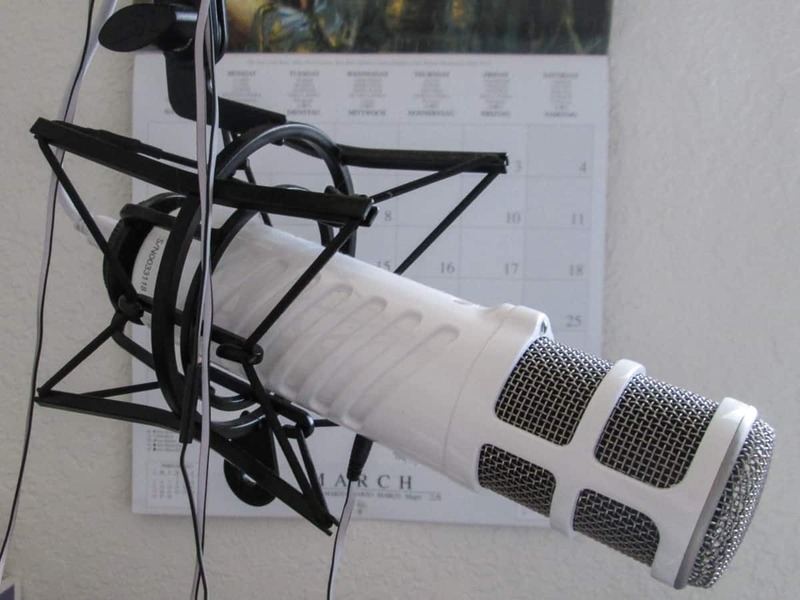 If you’re still interested in podcasting despite what I wrote in Part 1 of this article, read on to learn what you do (and don’t) need to succeed as a podcaster. All forms of content marketing require consistent application over time. The buttons in this photo all represent podcasts that I listened to in 2006. Very few of them are still in production. Success at podcasting requires considerable stick-to-it-iveness. It’s a good idea to record more than one episode before you launch, so that you get an idea of how much work is involved and whether you really have time in your schedule to do this. Podcasting gets easier as you develop your workflow, but every episode is still a big investment. As I mentioned in Part 1, most podcasts don’t make money. In most cases, sponsorships and services like Patreon cover your production costs, but not your time. If you’re going to produce a podcast, you need a good reason for doing it. For instance, if you have a podcast where you interview people, you’ll get to meet and learn from experts in your field. You’ll also build up a network of professional connections. Those are both valuable benefits, even if they don’t translate directly into revenue. If you’re just getting started in podcasting, you have an uphill battle to get noticed. Someone is bound to be podcasting about your subject already. That someone might even be a major media outlet with a lot more resources than you have. You won’t succeed by doing exactly what everyone else does. Even your mom will get bored. Just as with your business, you need to discover your niche and find a unique angle. Listen to the existing shows. Learn what they do well, what they do badly, and what they don’t do at all. Your opportunity will reveal itself. Sounding natural while talking to your computer screen is hard. Sounding natural while talking to another person is much easier. While there are some very good solo podcasts, you can benefit tremendously by having a co-host (or several). A co-host can bring skills you don’t have, an alternative perspective, and much-needed accountability to your podcast. If you can find a co-host whose voice is easily distinguished from yours, so much the better: your listeners will always know who is talking. Even though live streaming has been trendy since the launch of Meerkat, timeshifting is one of the great advantages that podcasting has over terrestrial radio. Your listeners are busy people. If you want them to show up for a live episode, you have to provide them an incentive to be there. Before you decide to produce a live show, ask yourself what your listeners will get out of it and what you will get out of it. If you decide to produce a live show, services like BlogTalkRadio, FreeConferenceCall, Google Hangouts, and Zoom make it easier. You’ll definitely want a co-host or at least an assistant, because someone has to keep an eye on the chat room and the Q & A. There are not really any good search engines for audio podcasts, while people search YouTube for everything. If you make a video version of your show available on YouTube, you’re going to increase its discoverability. But while video is a huge advantage in recording a podcast with multiple guests, it’s not very interesting to your audience unless you’re recording a travelogue, a tutorial, or a product demo. One of the great advantages of podcasts is that you can listen to them when you can’t look at your screen: while driving, exercising outdoors, or doing housework. Unless your podcast cannot be understood without video, you need to produce an audio-only version of your show. To do that, you need to make sure you record good-quality audio in the first place. You need that anyway, because people won’t watch a video with bad audio—even though they will watch videos with no audio at all. Possibly the single most important post-production task is adjusting your audio levels to avoid painful variations in loudness. Many audio editing programs have a built-in tool to do this. Auphonic will automatically adjust your levels and take care of other common audio post-production tasks, and it’s free for up to 2 hours of audio per month. Zencastr provides a separate audio track for each speaker, which (usually) results in better sound quality, and they have a free plan. People have been there before you and figured it out already. 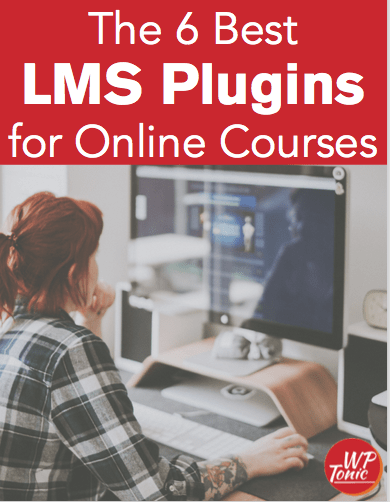 Whether you need to know about microphones, lighting, editing software, media file hosting, WordPress plugins, getting into iTunes, or marketing your podcast, help is at hand. Hop on over to David Jackson’s School of Podcasting, Paul Colligan’s The Podcast Report, or Daniel J. Lewis’ The Audacity to Podcast. 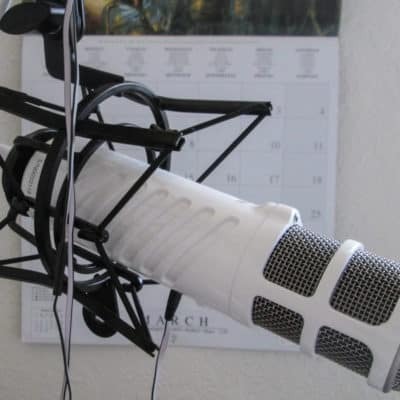 Read How to Podcast 2016 or The Business of Podcasting. There are dozens of tutorials like WP Beginner’s “How to Start Your Own Podcast (Step by Step)” or SitePoint’s “A Beginner’s Guide to Podcasting with WordPress.” You can also ask an established podcaster for tips. 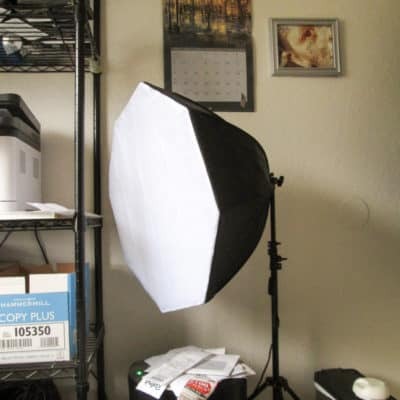 If you’re going to produce a video podcast, or even have video calls with clients, you need a light source in front of you. 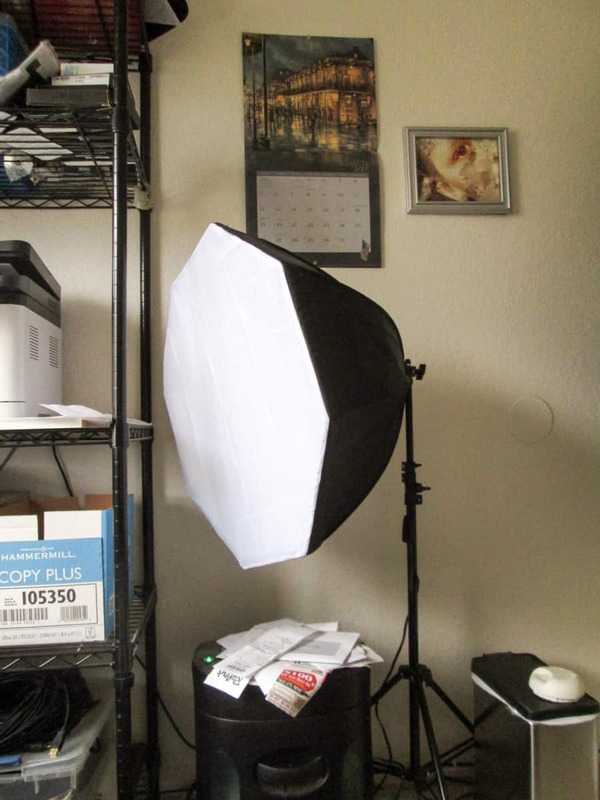 My office has terrible lighting, so I bought some inexpensive softbox lights at Jet.com and set one up to point straight at my face. (The specific lights I bought aren’t available anymore, but there are plenty of alternatives.) I do a lot of videoconferencing, so it was completely worth it. But I didn’t get my Rode Podcaster mic until last year, and I still use Audacity to do my audio editing. Rode Podcaster mic with arm and shock mount. Earbuds attach to the microphone. Remember what I said in Part 1 about listening to other podcasts about your subject? The people who listen to those shows are the ones you want to reach. They’re already interested, and they already know how to subscribe to podcasts. Get to know the other independent podcasters in your field. Many will happily introduce their listeners to your podcast. Nobody likes to be sold to, but if you forget the “marketing” in “content marketing,” you’re not going to see much of a return. Even if it’s a gentle reminder in your outro, make sure that your listeners know what products and services you offer and how to reach you. Thanks for reading and happy podcasting! Sallie Goetsch (rhymes with ‘sketch’) built her first website in 1994 and started working with WordPress in 2005. 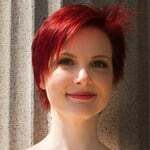 She provides content strategy and WordPress development services at WP Fangirl. Sallie and her cat Bece are regular participants in the WP-Tonic Live Panel.